A safety pilot helps ensure a flight is conducted safely in VFR conditions while another pilot is flying the plane in simulated instrument conditions (i.e. flying with a view limiting device a.k.a. flying under the hood). A safety pilot is a required crew member in this situation. The pilot manipulating the controls has no ability to see terrain or other aircraft, so the safety pilot, at a minimum, ensures that you don’t run into anything and don’t violate VFR minimums by flying too close to clouds. For pilots who have their instrument rating, flying with a safety pilot is how most keep up currency. For pilots working on their instrument rating, it can be a great way to build your required instrument time, if it is done safely. Who can be a safety pilot? The theory is that the safety pilot may need to take control of the airplane at some point for safety and he must be able to do that. Now, the regulations say nothing about the safety pilot’s knowledge or competency in the particular aircraft. For example, it is generally held that a pilot with no complex endorsement may legally be a safety pilot in a complex airplane. I would argue this is not a good idea – you really would like your safety pilot to know enough about operation of the aircraft to be safe. Would you want the first time that a pilot touches the control of a particular plane to be when he is executing an evasive maneuver to avoid another aircraft? Keep in mind that the owner, operator, or insurer of a plane may have something to say about who may be safety pilot too. What should a safety pilot know and do? At a minimum, the safety pilot needs to understand that he must keep his attention outside of the aircraft, scanning for traffic, obstacles, terrain and clouds, while listening for radio calls that may indicate conflicting traffic. It is very easy for a green safety pilot to become enthralled with the new charts, procedures, and displays and have his head inside the plane, rather than out. Next is the question of who does radio work. If ATC calls out “traffic at 2 o’clock and 1 mile”, will the safety pilot respond to that call or provide information to the flying pilot to allow him to respond? I personally prefer to take traffic radio calls when I am safety pilot, reporting “looking for traffic” or “traffic in sight”. I also like to do the communication on CTAF when flying an approach towards a non-towered airport. The DPEs I know will generally not handle communication and will provide information to the pilot. I also expect the safety pilot to decide when to say “my plane” and take control if we are getting too close to another aircraft, bird, or cloud (I’ve had to do all of those numerous times). I also expect a safety pilot to help decide when it may be safer for the flying pilot to come out from under the hood (e.g., to help look for traffic that is known to be close by). Less clear in the duties of the safety pilot are items related to how the flying pilot is doing with regards to altitudes, headings, tracks, and other performance measures. These are areas where a safety pilot with little or no instrument experience or understanding will have a hard time assisting. Will they know if you are about to bust an altitude on an approach or have missed dialing in the appropriate VOR and radial for a cross-fix? Will they know if you’ve turned the wrong way in a hold? Will they know it could be dangerous to be on one side of the localizer when parallel runways are in use? These are all areas where pilots working on building time towards an instrument rating should be cautious. It’s easy to overestimate your competency under the hood, and cause a loss of separation or bust airspace with an honest mistake. An IFR instructor takes on these responsibilities and I think it’s good for inexperienced instrument pilots to have a safety pilot who can at least look out for obvious mistakes. This is a case where two well-matched instrument students can help each other by trading off safety pilot duties. Who is acting as PIC? Now we get into what I think is a grayer area. The person flying the airplane will almost certainly log PIC time as “sole manipulator of the controls”, but does not have to be designated as acting as PIC. It is possible for the safety pilot to act as PIC, while the other pilot manipulates the controls. In such a scenario, it is legal for both pilots to log PIC. If you as safety pilot are going to act as PIC, you need to consider the ramifications – you become completely responsible for the flight. If something goes wrong, it’s your ticket on the line. Again, it’s likely that the insurer, operator, or owner of the aircraft may have something to say about who can act as PIC, so take that into account as well. Don’t forget that the pilot acting as PIC is required to pay no less than his pro-rata share of the costs, so you can’t have your friend be safety pilot, acting as PIC, but having you pay all the costs. I recommend sticking with the clear delineation of the person flying the airplane as the only PIC (logging and acting). In either case, it should be decided beforehand and documented (a trade of emails beforehand is great) who will be acting as PIC. When you log PIC and Simulated Instrument Time, you need to note the name of the safety pilot. Q: Does a safety pilot need to be Instrument rated? Q: Does a safety pilot have to be an instructor? Q: Does a safety pilot need to have a medical? Q: Can you legally be a safety pilot in a retractable gear aircraft if you don’t have your complex endorsement? Q: Should you be a safety pilot in a retractable gear aircraft if you don’t have your complex endorsement?? 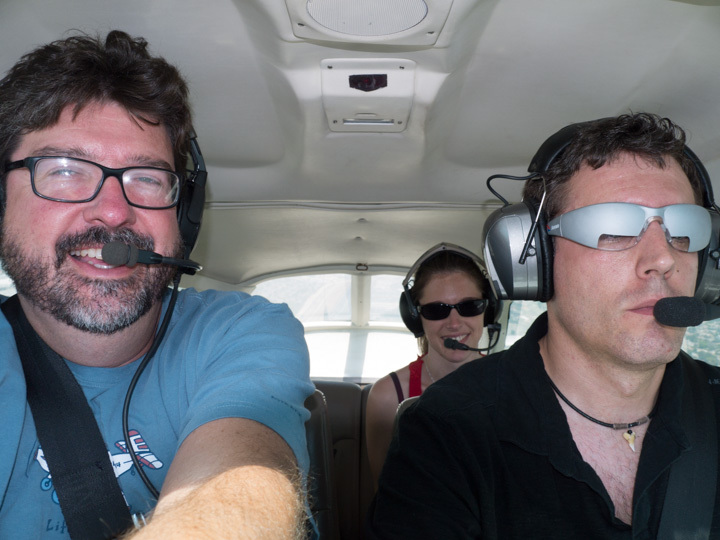 This entry was posted in Tips, Uncategorized and tagged Currency, IFR, Safety Pilot, Tips, Training by dgwerntz. Bookmark the permalink.